Having an upcoming Private Party or event? 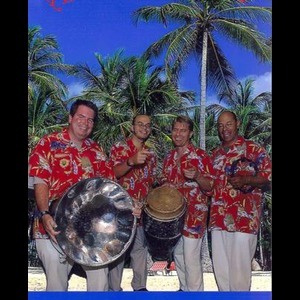 Soca Bands, Beach party and Jimmy Buffett style Bands. We are the premier choice for Island and Beach Theme parties, corporate events, festivals, concerts and private functions. Our shows are fun, energizing and create a musical mini-island vacation for people of all ages. The Band features international recording artist/ entertainer/vocalist, Tommy-O. Tommy-O has performed and recorded with the biggest names in the history of Caribbean music. He has sang in legendary Calypso shows and various Carnival events on the island of Trinidad (The Calypso Capital of the world, home of Limbo, Soca and the Birth Place of the Steel Drum). 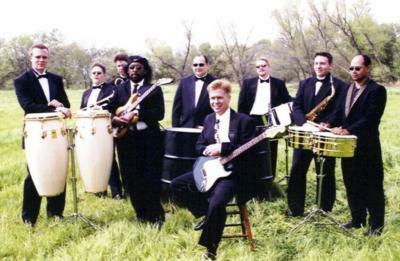 A perfect fit for Caribbean, Tropical and Island theme events, Whether you are looking for background music during cocktail hour, easy listening music during dinner, or high energy dance and party music, no one can entertain a crowd like The Tommy-O Band. "I have heard so many wonderful comments about President's Ball. Your band was a perfect fit. You all turned the evening into a PARTY!!! The President and his wife really had a good time dancing. Also many of the guests said that this was the best time that they had in a while at an event. Thank you for making the President's Ball a success." "A MILLION THANKS for your musical talents. Please know that the party was a smashing success. The members were still talking about the band two weeks after the party. A campus VP dubbed the party as 'the event of the year'. Again, thanks and hopefully, we'll get to work with you again." "We wanted to thank you for performing at our recent party. The compliments to you and your band were unanimous! You were responsible for the success of our party." "I've been planning and arranging our management group party for 17 years now and I can honestly say it was one of the best we've ever had. You have a wonderful knack for getting the audience to participate which kept our group at the party and having a wonderful time." "Thanks again. It was truly a special evening!" "Tommy-O hails from the States. A highly talented artiste who has to be seen. Performs a wide variety of music. He is a singer guitarist with top class sound to support his performance. Very agile, you name it he does it. A must for any occasion, is residing in Birmingham. You will not be sorry when you book this guy." "Tommy is a big act! His talent is undoubted and his style is refreshing." "I just wanted to thank you for a wonderful performance at Allen's 50th birthday party last weekend. Tommy, you really made the party what it was. Everyone kept saying what a great time they had. I certainly will pass your card around as much as possible. If you ever need another reference, be sure to use me." "Thanks so much again for making our event the party of the summer." "I was especially impressed with Tommy-O. He really had things organized and didn't hesitate to jump in and get people going." MADE the evening! Highly recommended and I would most definitely hire them again! Fantastic!!! 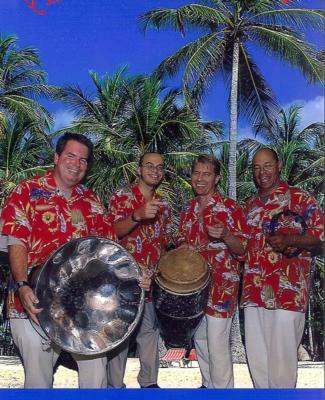 We enjoyed the Steel Drum Music and plan to have them come again. Islands in the Sun were really accommodating, just make sure to read your quote, you don't get all of the members pictured unless you specifically request a certain number of musicians; not sure if this is the groups issue or gigmasters. Great Job Mark! We hope to have you out again soon!!! Please note Islands In The Sun Productions will also travel to Bellaire, Galena Park, Alief, North Houston, Missouri City, Pasadena, South Houston, Stafford, Humble, Sugar Land, Channelview, Pearland, Fresno, Deer Park, Katy, Spring, Cypress, Klien, Friendswood, Manvel, Thompsons, Barker, Highlands, Kingwood, La Porte, Webster, Crosby, Richmond, Porter, Rosharon.